What is Acute Care Surgery? As medicine changes and modernizes, new specialties arise. General surgery is seeing new fields emerge. One is acute care surgery. Acute care surgery is an evolving specialty with three essential components – trauma, critical care, and emergency surgery. Acute care surgeons provide multidisciplinary care for patients who require emergency surgery because of an accident or sudden illness. This care continues throughout the patient’s hospitalization and following discharge. These changes in surgery are in response to a number of forces. General surgeons are becoming increasingly more focused, especially in areas such as advanced laparoscopic surgery, bariatric (obesity) surgery, endovascular surgery, and breast surgery. With these areas of concentration, come less interest in being on call for emergencies (especially during “off” hours), which can interfere with other, non-emergency cases and office practice. In addition, many trauma surgeons wish to increase their operative case load because trauma care itself has become less involved with operative procedures. 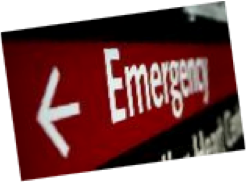 As this specialty has grown, acute surgical emergencies often represent the most common reason for hospital admission. These conditions include, but are not limited to: acute appendicitis, cholecystitis or gallbladder disease, diverticulitis, pancreatitis, intestinal obstruction, intestinal ischemia, intra-abdominal sepsis, incarcerated hernias and perforated viscous. Acute care surgery integrates the long-established field of trauma surgery with the management of general surgical emergencies. Traditionally, management of non-traumatic emergency conditions requiring surgery has been entrusted to both general surgeons and surgical subspecialists, depending on the supply and availability of these surgeons in each hospital, but as stated above, many surgeons are reluctant to take on-call responsibilities. Dr. Matthew Johnson is board-certified in acute care surgery, general surgery, and critical care, as well as being a board-certified robotic surgeon. After completing his residency in general surgery, he then went on to become one of the early fellows in the country to complete an acute care surgery fellowship at the University of Nevada School of Medicine.